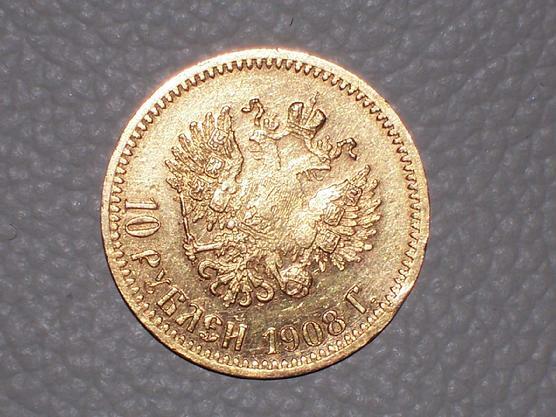 1908 the one and only unique 10 Gold Rouble. 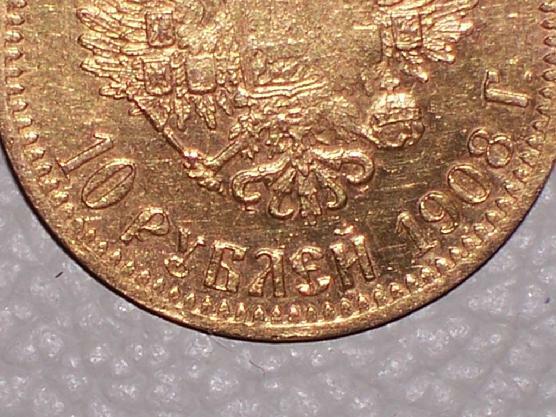 Here is the story about this unbelievable coin. One of my friends who is an antique book collector. 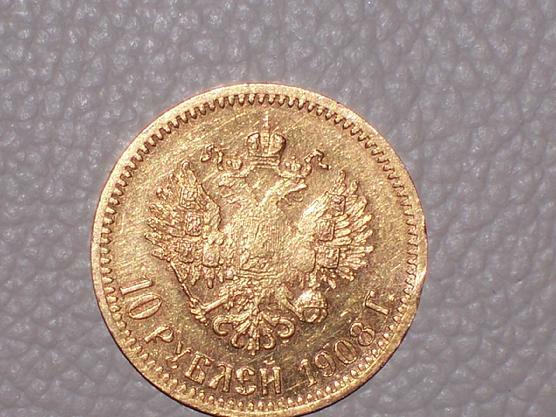 Offered me this coin because he knew I am collecting Russian Imperial antiques. He had a very nice old Russian Bible from the late 1800's. It was leather and nicely tooled. He explained that it came in a box from an Estate Auction. 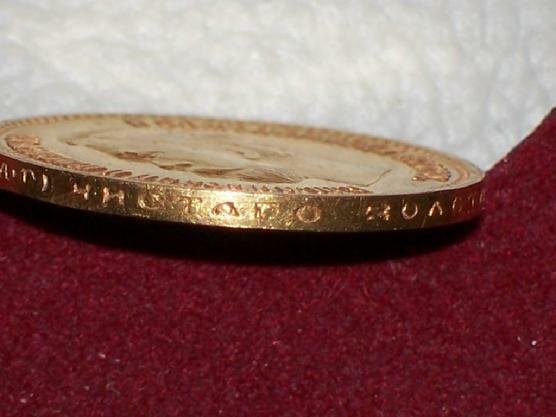 He then told me about this coin Sewn in the front cover...so I bought the coin. That's all the details of this great story. 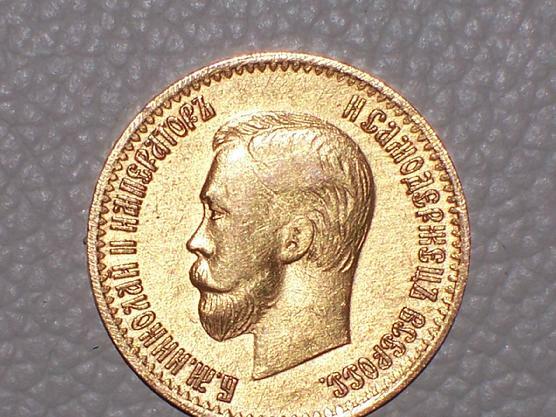 I know you will think this coin is not real I thought so too because when I checked the catalogs: Krause, Severin, and Uzdennikov it was not listed. 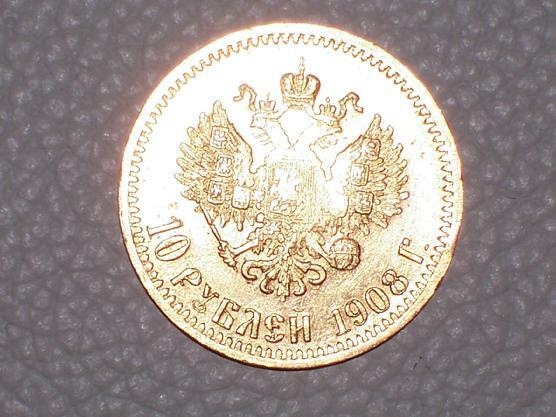 They have listed,10 gold roubles: 1906 - 10 pieces, 1907 - not exist, 1908 - not exist, 1909 - 50,000 pieces. Two local jewelers did confirm it is gold, but i am not an expert, just a collector. Anyway, but in reality, I do have this coin, check the pictures, and make your own decision, who is right and who is wrong. 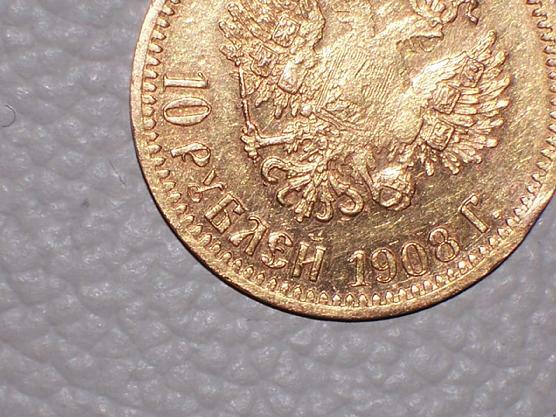 This is an extremely rare coin, one of a kind and maybe it exists only in one piece.